I love to shoot for the underdog. Maybe it’s because sometimes I feel like I am the underdog. I know that both of these girls worked really hard in preparation for that race. They both ooze athletic ability. But, for whatever reason, it was Emily’s day. Emily needed it more, and maybe Molly needed to learn a lesson. I’m not one to say. All I know is that I like to believe that there is a grand plan. And in that grand plan, one day it will be Molly’s day. Cross your fingers, your legs, your eyes, your toes, your hair, your elbows. Meet Heather Jenson! She’s also known as Tri and Run Girl, but I like to call her Superwoman. 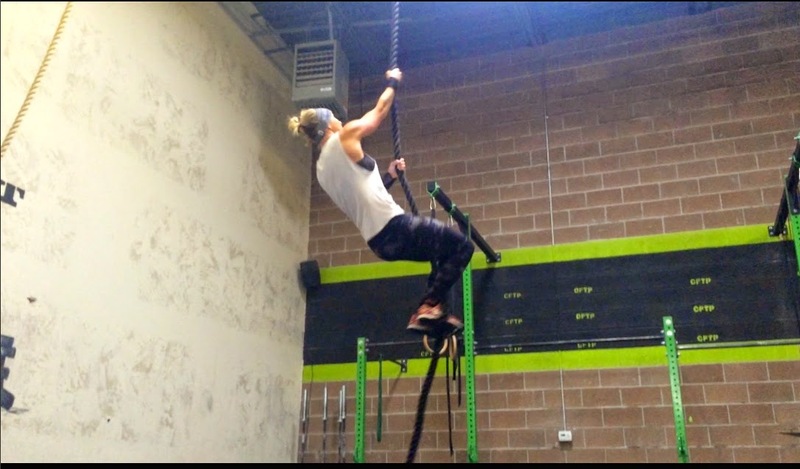 Heather is a wife and mom of 3 and a runner and triathlete. She has ran 10 full marathons, raced 3 Half Iron mans, is a group fitness Instructor and teaches everything from Yog and Pilates to Pump and Boot Camp classes. 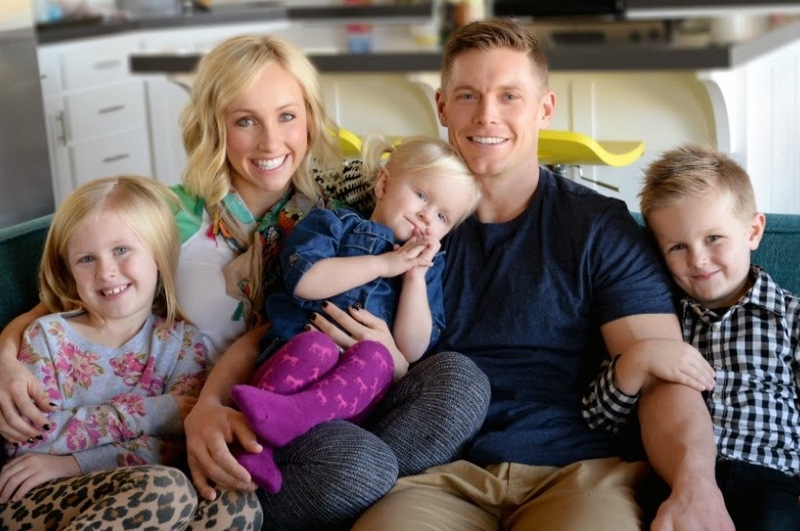 She loves her family and loves being involved in the fitness world and in her community all while being “mom”. 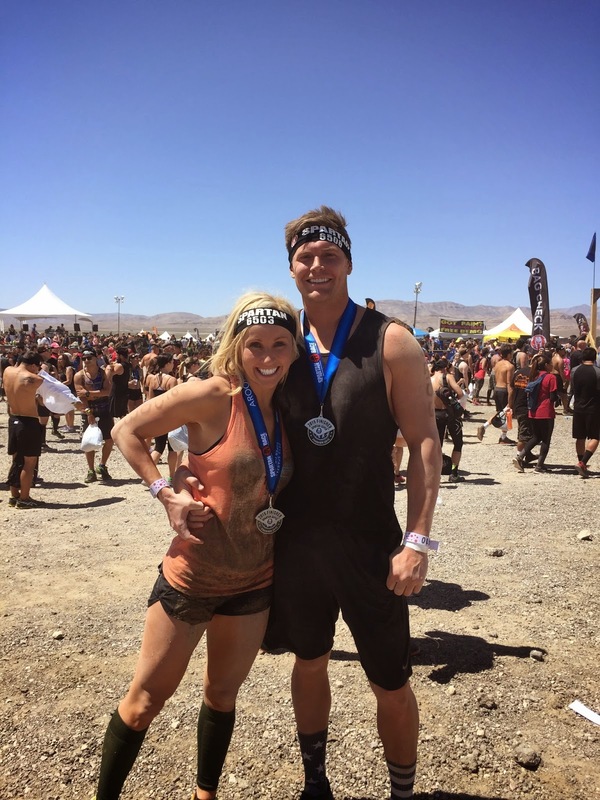 Heather likes to help others reach their fitness goals and loves motivating others. She is a sponsored/ambassador athlete through Altra, Pro Compression, The North Face Locals and Cocogo. I had the pleasure of meeting Heather when I ran the Utah Valley Marathon. I ran into her at the expo and then again when we were getting on the buses to head to the start. I have to say- she is genuinely a sweet, positive, and inspirational person to the core. I have not known her for very long but I can tell you- there is nothing she can’t do! After she found out that I was disappointed with my race performance she sent me several texts that were so sweet and encouraging. It meant the world to me. She’s as good as gold, people! So excited to feature her today and so excited to be featured on her blog as well!! I’m answering the same questions- Check it out here!! 1. When did you become passionate about fitness? I have always loved physical activity from when I was a young girl. I wasn’t very fast as a kid “running around” but I was really fast in the water. My parents signed me up for the swim team and I think that is largely impart why I am the type of person I am today as far as fitness goes. It shaped who I am in many ways. We were a record holding, state winning, high school varsity swim team and my coaches were hard on us (But also fun too!) They taught me how to push hard and fight for my goals. We would run for “dry land” exercises and I honestly hated it. I was slow and it was hard, but I wanted to be a runner. When I turned 18 and was starting college, I really became interested in teaching Group Exercise classes and running more. I will always be a swimmer at heart, but I grew to love running and started running 5 and 10ks and got certified to teach group fitness classes. After I had my first child, I signed up for my first half marathon and was terrified. I trained hard and finished. It really helped me lose the baby weight and I loved the “Runners High” I got while training. It was so different then swimming but so awesome too. I trained for another half marathon and then took the plunge when my daughter was 1 years old and ran my first full marathon in St. George Utah. I also did my first sprint triathlon that year and was in love with both! My swimming background proved helpful for the triathlons and my running was beginning to bloom as well as my cycling. 2 more babies, lots of training, and a huge passion for running and triathlons, it is now part of who I am to the core and a “lifestyle” that I love. I am ALWAYS mom and wife first, but I love being a runner and a triathlete. I have since ran 10 full marathons, competed in 3 half iron mans, many relay races, ran too many half marathons and other races to count, and am now a pacer for half and full marathons. 2. What does a typical day for you look like? I get up really early almost every morning. Were talking between 4 and 5:30 am on a given training day. I teach group fitness classes as my other job (Stay at home mom) and love it! I teach a variety of classes and am certified in many different formats. I currently teach, Power Pump, Pilates and Power Yoga each twice a week. I usually run, swim or cycle before or after I teach depending on what I’m training for. It might seem like a lot to some, but I love to teach and train and thats when I can so it works for me and my family. Then I come home to put on my “mom hat” and take care of my 3 kids. During the school year, the next hour or so gets crazy! With getting breakfast and lunches ready, baths, showers, getting dressed, carpool and more, I hold onto my “mom hat” very tight until I get the older 2 off to school! Then, my baby and I run errands, take naps, do laundry, dishes and cleaning, play, and enjoy the “quiet” home until they get back from school. My baby just turned 2 and is technically a toddler now so he is a tornado himself and leaves this busy mom little time for relaxing though 🙂 The rest of the afternoon is filled with carpools and running my kids to dance, piano, and other activities. I also teach music classes from home 2 days a week. I was a music major in college and play and teach the flute and the guitar. I love being able to still teach music as another big passion of mine. Then we have family dinner, read scriptures, say prayers and the kids go to bed while my husband and I have a date from home. We love to watch TV shows together and catch up on the day before we turn out the lights and get ready for it all again the next day! 3. What tips do you have for those just getting started in triathlons and running? I say to just start! Start slow if you need to, but If you have your heart set on a race but you’re scared to do it, just go ahead and sign up for it! Thats the first step to accountability! Just sign up! 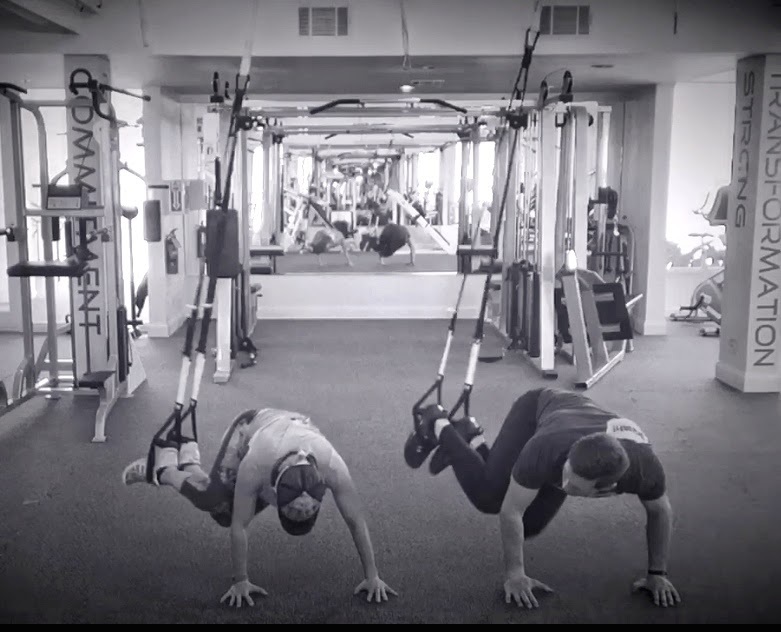 Then look up a training plan on line.There are so many good ones out there, and some that are free and can really get you a good head start on your training. Or ask a friend to help you get started! Some of my best races have come from a free plan online and then talking though it with seasoned friends. You can also purchase some amazing plans and use a coach as well. I am currently training of the Big CottonWood marathon and am using a coach for the first time in hopes to get my BQ this fall! It can be intimidating to start, but it just takes 20 seconds of insane courage (from the movie “We bought a Zoo”) to sign up and then the training will fall into place. You’ll be committed. Don’t worry about the time it takes to train, the time will pass anyways. Start small and steady and build on small improvements each day. If you want to start swimming, just start! Grab a friend and go! It sounds easier said then done I know, but really thats the hardest part. Just get yourself there, get yourself on a bike or start walking or running and it will all fall into place as long as you’re consistent. I am not a heavy cyclist but I forced my self to start and to get going on the road bike. Something I feared for a long time. I am not the fastest of most confident biker, but I can now compete in Half Ironman races and have worked my way up to ride 56 miles. You can do anything you set your mind to! I really love most all foods and love to eat healthy and clean as much as I can. I have become a good kitchen experimentor now that I am a mom and am preparing more meals at home. I am not a chef by any means, but I enjoy cooking more now then I ever have. I would love to take cooking classes all over the world and learn about the culinary arts someday! I consider myself a healthy eater but I do love treats too! Breakfast is usually something like, 2 eggs, or a protein bar, or a green smoothie. Lunch is typically a salad with protein, (cobb salads are my favorite lately!) or if I’m on the go, I will grab a protein bar or make a smoothie to take with me. Dinner is my biggest meal of the day but also healthy. We love everything and I try to make something my family will all eat and then put a healthy twist on it. That usually does the trick! We eat a lot of chicken and fish with veggies. We love Indian food, and mexican food and I make a pretty good homemade salsa and chicken enchiladas! We also love to eat out when we can and love Costa Vida and Cafe Rio with the kids and local “foodie” restaurants or the food trucks is so fun too. Snacks are usually veggies and hummus, fresh fruit, peanut or almond butter or protein balls. I still love pizza, hamburgers, and donuts when I feel like I want to eat them! I typically don’t limit any food and love to enjoy a balanced diet thats healthy and reasonable for me and my family and my training. 5. What has been your most memorable race thus far? I have so many races I love for many reasons but I would narrow it down to 2 races. The St. George Ironman 70.3 Pro Championship race and The St. George Marathon. I typically keep my races close to home due to the nature of our young family, but these 2 races are incredible and draw people from all over the world. Being able to compete in the STG Ironman 70.3 Pro Championship race was a life changing experience for me. I have raced it twice and it is arguable the hardest half Ironman course there is. It is very hilly, hot, and hard! It is beautiful as well and the reward of crossing the finish line was worth every moment of training. I hope to be able to compete in my first full Ironman next year! I also love the St. George Marathon beyond words. It was my first full marathon in 2008 and will always have my heart. It is “my” marathon and setting a PR last year (3:41) on my home course made me happy! I have ran it every year unless I have been pregnant or just had a baby and this year will be my 6th STG marathon. I love both of these races so much and get excited every time I think about them! Huge thanks to Heather for letting me feature her today and for featuring me on her blog today!! Can’t wait to hang with her in St. George!! Best of luck to her at her next race! It’s always a fun day when I get to feature someone that inspires me! 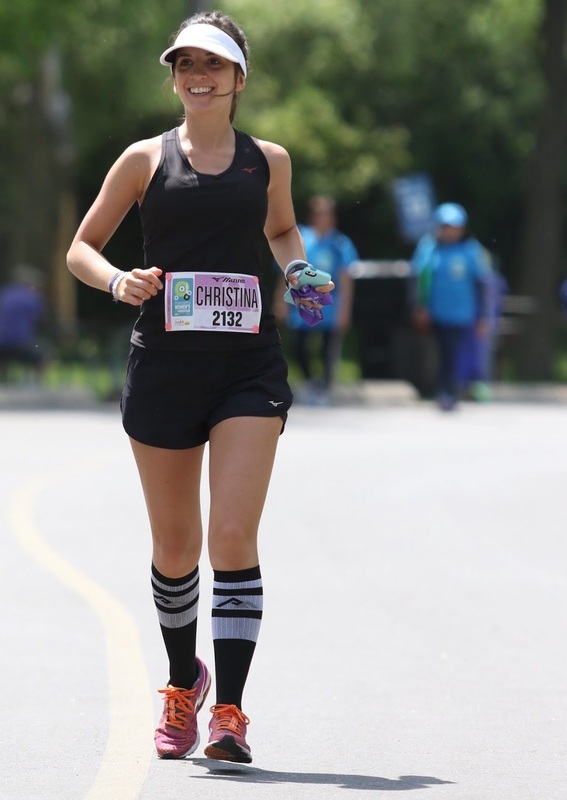 For today’s She Runs Around I introduce to you Christina, the Athletarian (@the_athletarian). I found her feed when I was training for the Phoenix Half Marathon this year and have been a big fan ever since. She is inspiring, passionate, and positive. And I know I have mentioned before how much I love it when people don’t take their feed too seriously. I started running recreationally during my first year of university when I had access to the school’s athletic centre. I spent a lot of time running on the indoor track though my workouts weren’t actually “track workouts” – I would just run in circles until I got tired! It wasn’t until just two years ago that I got more serious about my training and realized that I could actually improve as a runner if I worked hard and focused on the quality of my workouts. 2. What does your daily diet look like and what do you love to eat? I aim to eat protein, fat and carbs at every meal. I try to keep things fairly healthy most of the time but am a big believer in BALANCE – eating things that are good for both your body and soul. Breakfast is usually a smoothie made with a frozen banana, almond milk and Vega One. Lunch always varies but my favorite combo is pan fried tofu, roasted sweet potato and avocado. Dinner is when I have anything and everything. It changes daily and can include things like homemade pizza, pasta, a big salad, a veggie burger, a burrito bowl (rice, beans, veggies, guacamole, salsa)…the list goes on! I like to snack throughout the day too! I’m often munching on fruits and veggies…but other times on cookies and corn chips with salsa (my favorite treat)! 3. You are so fast!! What advice would you give to someone looking to increase their speed? I’ve never considered myself to be “fast” but I have definitely improved over the last two years. I have worked with a coach (@blistersandblacktoenails) who has helped me tremendously. She incorporates weekly tempo runs and speed workouts into my training and pushes me to run at paces I never thought would be possible. I love having someone who holds me accountable and urges me to step outside of my comfort zone. It has made me stronger both physically and mentally. I think that a huge part of running fast is BELIEVING that you can. If you think you can’t run a 6-minute mile, you won’t. You need to go into your runs determined, positive and committed. It’s difficult and can be scary at times but I’m telling you, it works! I used to cross train a lot more but since my last marathon in February, I have taken a bit of a break. Over the last few months I have just been running casually because I start a new marathon training cycle this month. When I am marathon training, I aim to run four days a week and do another form of cardio once a week (spin, stairs or elliptical). I also try to strength train 2-3 times a week as it helps me to remain injury free and makes me a stronger runner. It sounds like a lot but I will usually strength train on days when my runs are easy and short (3-5 miles) so that I’m not exercising at a high intensity for multiple hours! 5. What are some running goals that you have recently set? I am really hoping to qualify for Boston at the Scotiabank Toronto Waterfront Marathon in October. It will be my 5th marathon and I am going to have to shave 11 minutes off my current PR in order to qualify. It sounds crazy but I’m so determined and willing to put in the work. I would also love to run a sub 1:40 half marathon (my current PR is 1:41) but I haven’t decided on a race yet! Other than these time goals, I want to have fun and connect with awesome people along the way. The running community is SO wonderful, supportive, and a huge part of the reason why I run. Huge thanks to Christina for visiting My Heart Races!! She’s right- the running community really is wonderful. So fun to know more about her and be able to cheer her on through my phone. Every morning I step out my door that’s what I’m doing- chasing a dream in sneakers. A dream to run Boston again. A dream to run a marathon on every continent. A dream to inspire. A dream to be unstoppable. This morning was an 8 mile hills run. I had to drive but I can feel my legs getting stronger.Happy Running! In today’s edition of She Runs Around, I’m excited to introduce you to Erika Peterson, the mastermind behind Clean Simple Eats (click here.) At first Erika’s mouth-watering pictures of clean food on Instagram caught my eye, but as I began following her, the way her personality shone through her feed made me want to be her friend. Her feed is filled with her clean recipes- sweet and savory, fitness, family, inspiration, and faith. But, best of all, throughout all of it she keeps it positive, light-hearted, and fun- just the way I like it! She’s got a long list of credentials (AFPA certified nutrition and wellness consultant, TRX certified group instructor), but she’s also DARLING. Erika has run one half-marathon and is signed up for another in the fall. 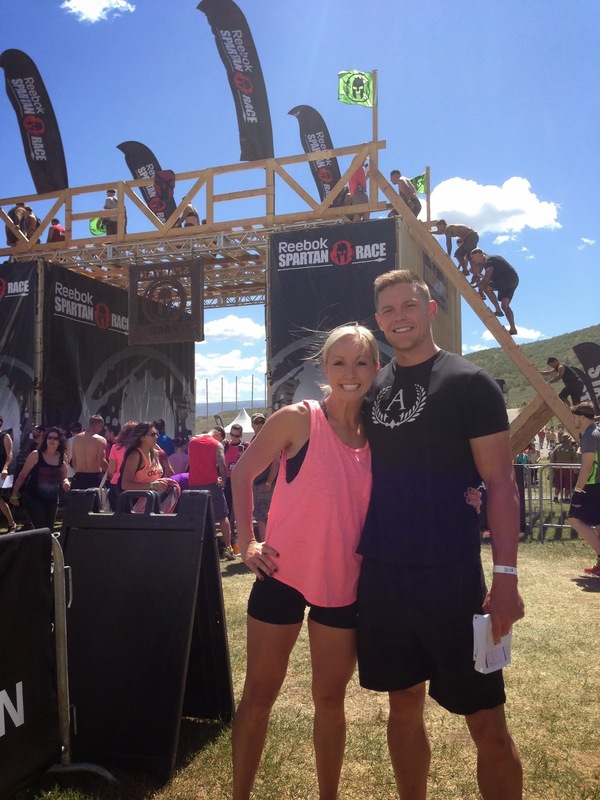 She has also done two Spartan races and is signed up for another this summer. For her, racing is all about enjoying some active competition with people she loves. Erika believes that healthy bodies are built from the inside out, but also believes that eating clean should taste GOOD. So refreshing. On her site, she offers shopping lists (click here), eating plans (click here) and ebooks (click here)- all in an effort to help people (like me!) know where to start when it comes to eating clean. some days the kids have gymnastics and I MAYBE even get a shower in for myself! 2. When did you start to become passionate about health? which meant saying goodbye to loads of junk food that I enjoyed regularly!! healthier substitutions in baked goods and many of my favorite dinner recipes. craving healthier options! This did not happen all at once, but in small steps. Small steps everyday that led to a huge lifestyle change for my family and me. I want to share it and inspire others make that same change in their lives. 3. What is your favorite way to sweat? nights in the mountains trail running or hiking. He’s a tough one to keep up with!! 4. What are your go-to dinners when you’re in a time crunch? Our easy go-to dinners are always breakfast foods!! clean, what would it be? First, go through your pantry/fridge and throw out all the “junk”. quotes states, “Success is the sum of small efforts day in and day out”. takes to live a healthy lifestyle. You’ve got this!! Big thanks to Erika for visiting My Heart Races today. It’s been inspiring and fun!